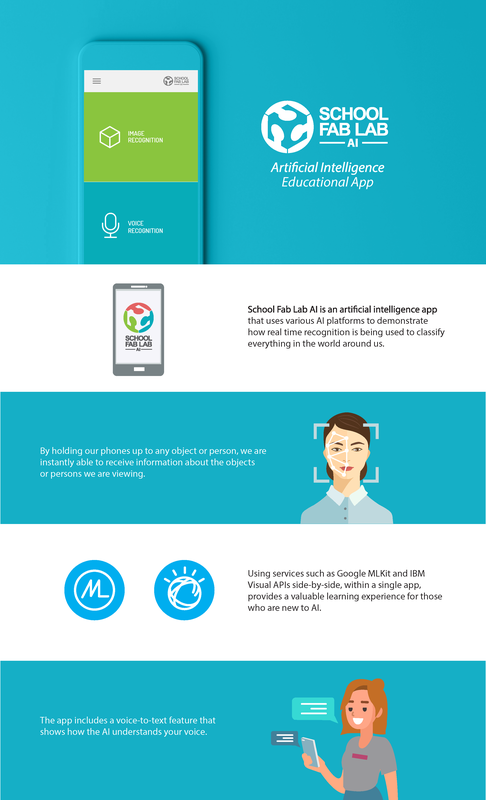 School Fab Lab AI is an artificial intelligence app that uses various AI platforms to demonstrate how real-time recognition is being used to classify everything in the world around us. By holding our phones up to any object, we are instantly able to receive information about the objects we are viewing. 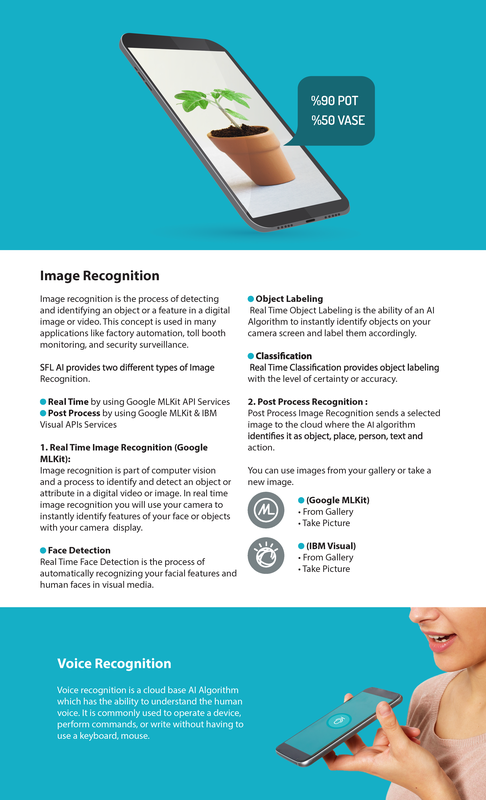 Using services such as Google MLKit, and IBM Visual APIs side by side within a single app provides a valuable learning experience for those who are new to AI and how it works. The app also includes a voice to text feature that shows how the AI understands your voice.